The Romanov family was the last imperial dynasty to rule Russia. They first came to power in 1613, and over the next three centuries, 18 Romanovs took the Russian throne, including Peter the Great, Catherine the Great, Alexander I and Nicholas II. During the Russian Revolution of 1917, Bolshevik revolutionaries toppled the monarchy, ending the Romanov dynasty. 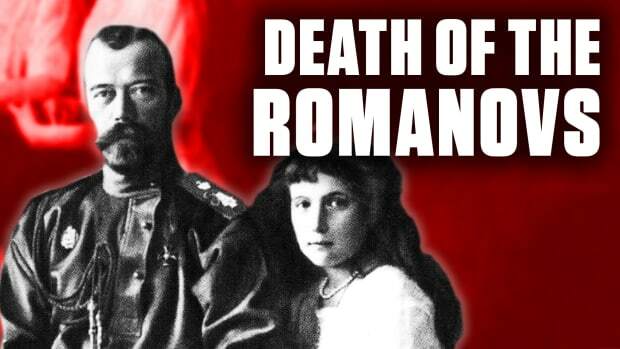 Czar Nicholas II and his entire family—including his young children—were later executed by Bolshevik troops. The Romanovs were high-ranking aristocrats in Russia during the sixteenth and seventeenth centuries. In 1613, Mikhail Romanov became the first Romanov czar of Russia, following a fifteen-year period of political upheaval after the fall of Russia’s medieval Rurik Dynasty. He took the name Michael I.
Michael I’s grandson Peter I, also known as Peter the Great, transformed Russia from a landlocked state into one of Europe’s largest empires. Through wars against the Ottoman Empire and the Empire of Sweden, Russia expanded its territory and became the dominant power in both the Baltic and Black Sea regions. Peter I declared himself emperor of the newly formed Russian Empire in 1721, a position he held until his death in 1725. During the reign of Romanov leader Catherine II, also known as Catherine the Great, the Russian Empire grew larger and stronger. 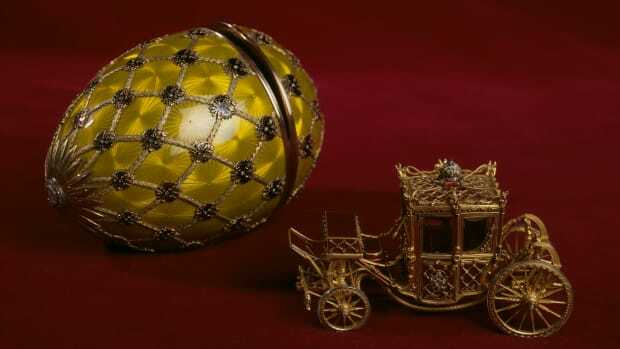 The period of Catherine’s rule—1762 to 1796—is often called the Golden Age of the Russian Empire. Catherine II was a sophisticated patron of the arts, and during her reign, Russia adopted Western European philosophies and culture. 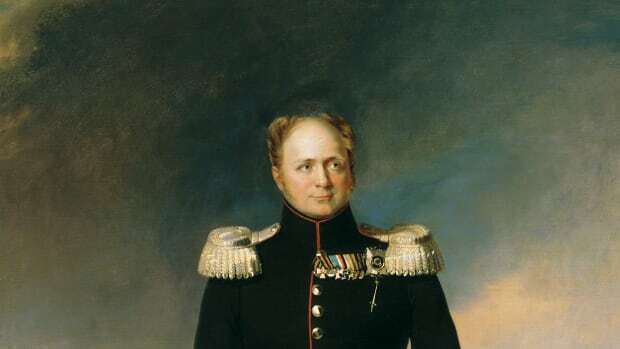 In later years, a campaign by Russian Emperor Alexander I represented a turning point in the Napoleonic Wars. The French invaded Russia in 1812 at the height of Napoleon Bonaparte’s power. Alexander I’s army defeated the French troops, dealing a major blow to Napoleon’s reputation and weakening his leadership over much of Europe. Czar Nicholas II was the last Romanov emperor, ruling from 1894 until his forced abdication in March of 1917. The duration of his rule was plagued by periods of political and social unrest. 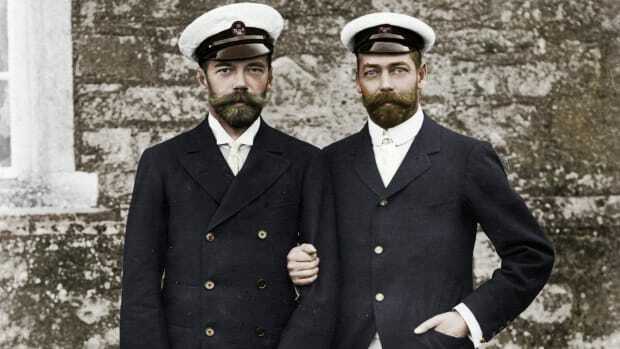 When he succeeded his father—Czar Alexander II—Nicholas II had little experience in government. He was widely seen as a politically weak and indecisive leader. His poor handling of the Russo-Japanese War of 1904-1905, subsequent 1905 uprising of Russian Workers—known as Bloody Sunday—and Russia’s involvement in World War I hastened the fall of the Russian Empire. Czar Nicholas II married Princess Alix of Hesse, a duchy in the German Empire in 1894, shortly after his coronation. Alix, who would later take the name Alexandra Feodorovna, was a granddaughter of Queen Victoria of the United Kingdom. Nicholas and Alexandra had four daughters—Olga, Tatiana, Maria, and Anastasia—and one son, Alexei. Alexandra—with a brusque demeanor and distaste for Russian culture—was unpopular with the Russian people. Her German ancestry and her devotion to Russian mystic Grigori Rasputin contributed to her unpopularity. She believed the self-proclaimed holy man could cure her son Alexei’s chronic illness. Rasputin’s powerful influence on the ruling family infuriated nobles, church leaders and peasants alike. Many saw him as a religious charlatan. Russian nobles, eager to end the cleric’s influence, had Rasputin murdered on December 16, 1916. Czar Nicholas II left Saint Petersburg in 1915 to take command of the failing Russian Army front in World War I. By 1917, most Russians had lost all faith in the leadership ability of the czar. Government corruption was rampant and the Russian economy was severely damaged by World War I. 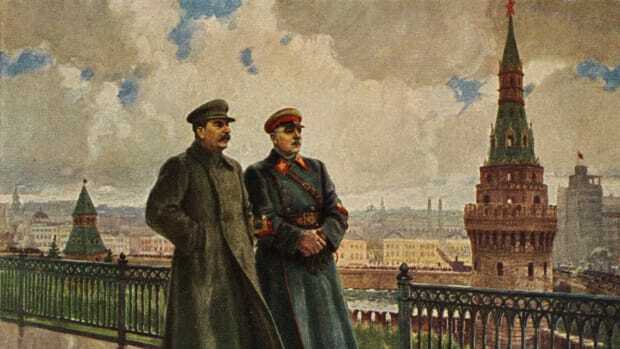 Moderates joined with radical Bolshevik revolutionaries in calling for an overthrow of the tsar. Nicholas II abdicated the throne on March 15, 1917, putting an end to more than 300 years of Romanov rule. 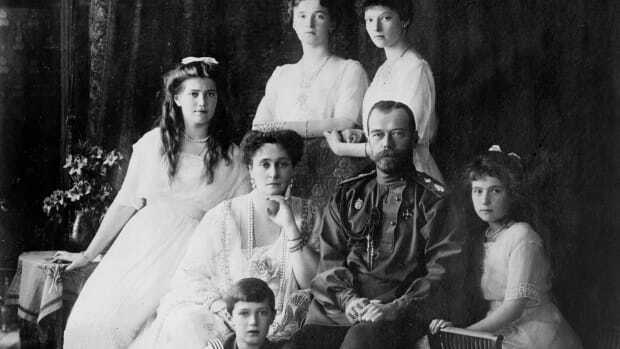 Czar Nicholas II, Czarina Alexandra, their five children, and four attendants were executed in Yekaterinburg, a city on the Eastern side of the Ural Mountains, in the late night or early morning hours of July 16-17, 1918. 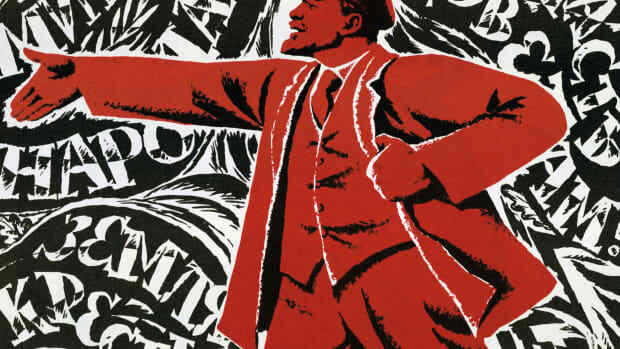 During the Russian Revolution in November 1917, radical socialist Bolsheviks, led by Vladimir Lenin, seized power in Russia from a provisional government, establishing the world’s first communist state. The imperial family was sent to live under house arrest in Siberia. In April and May 1918, members of the Romanov family were relocated to Ipatiev House—a merchant’s house in Yekaterinburg. After the revolution, civil war between the Bolshevik “Red” army and the anti-Bolshevik “White” Russian forces broke out in June. By July, the White army was advancing on Yekaterinburg. Local authorities were ordered to prevent a rescue of the Romanovs, and after a secret meeting of the Yekaterinburg Soviet, the imperial family was sentenced to death. On the night of July 16, 1918, the family was ordered to dress and go down to the cellar of the Ipatiev House where they were lined up as if posing for a family photograph. There they were shot by firing squad and bayoneted to death by Bolshevik troops. The remains of the family were discovered in a mass grave in the Ural Mountains in 1991. Subsequent DNA testing confirmed the identities of the Nicholas, Alexandra and three of their daughters. The remains of Alexei and one of his sisters remained a mystery until 2007 when a second grave was discovered near the larger mass grave. 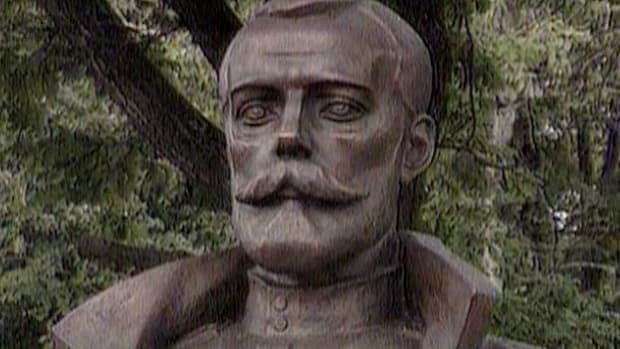 The grave contained the remains of two partially burned skeletons, which subsequent DNA testing showed to belong to Alexei, and one of his sisters, likely Anastasia or Maria. In the wake of the Czar Nicholas’ execution, rumors swirled that his youngest daughter, Anastasia Romanov, may have escaped her family’s grim fate. The legend persisted for nearly a century, inspiring numerous books and films. 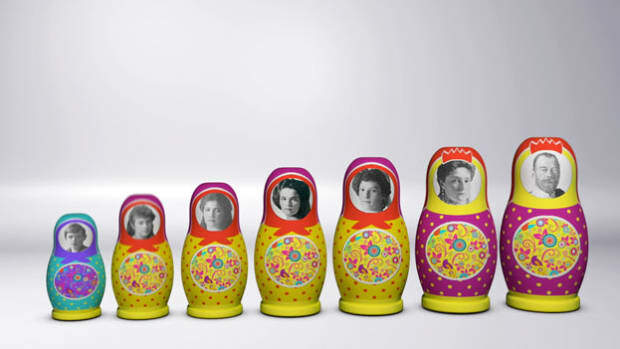 Over the years, dozens of women came forward, claiming to be the Romanov princess. The best-known Anastasia imposter was Anna Anderson, a young woman pulled out of a canal in Berlin, Germany in 1920 after an attempted suicide. Anderson was sent to an asylum where she told fellow patients she was the Grand Duchess Anastasia. Her claims received public attention, though most members of the extended Romanov family believed her to be an imposter. A private investigation funded by Czarina Alexandra’s brother in 1927 found that Anna Anderson was actually a Polish factory worker named Franziska Schanzkowska with a history of mental illness. Mystery Solved: The Identification of The Two Missing Romanov Children Using DNA Analysis, PLoS One. Will the real Anastasia Romanov please stand up?, Town&Country. Great dynasties of the world: The Romanovs, The Guardian.